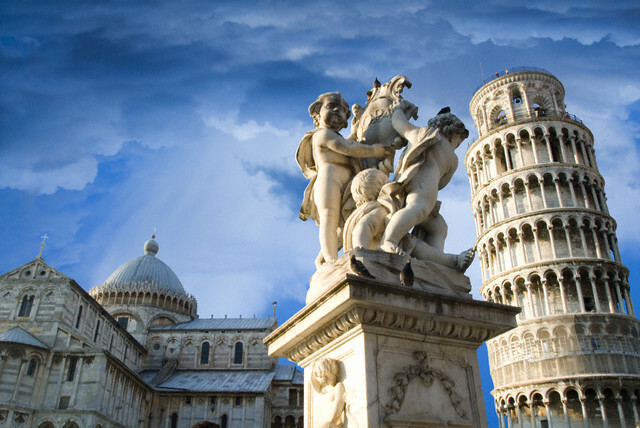 This is a tour dedicated to who wants to make a short trip and in a short distance from the port…Meet our driver at the pier and enjoy a short ride to Pisa of only 30 minutes where you will have a brief stop by the Field of Miracles for photographs and to marvel at the exterior of the Campanile, better known as the Leaning Tower. Stop for about 1 hour – after we’ll reach Lucca in about other 30 minutes drive. Among the attractions not to be missed, the church of San Michele in Foro, the church of San Giovanni e Reparata and the famous Cathedral of San Martino which chapel, built by Matthew Civitali holds the sculpture of the Holy Face. An last but not least, certainly one of the features that make the city of Lucca unique in the world, Torre Guinigi: 44 metres high with a magnificent oak planted on its summit. Time permetting, very romantic walk will be over the ancient walls nowadays become a green park, enjoying the beautiful landscape of a city and of the many towers that stand out on the horizon of what once was a defensive fortification but now retains the charm to keep intact the heart of a beautiful Medieval city. The driver is delighted to suggest a good restaurant for your lunch! If you want is still possible to shorten or lengthen this tour.